The company designs software for “micromarket” vending machines for break rooms in office buildings around the country, and hopes it’s on the cutting edge of what it believes will soon be a commonplace technology. The company says it is the first in the U.S. to provide chips to employees. “Eventually, this technology will become standardized, allowing you to use this as your passport, public transit, all purchasing opportunities, etc.,” 32M CEO Todd Westby said in a statement. 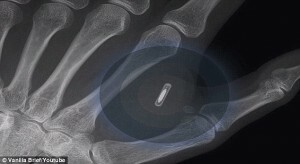 The chip will be implanted underneath the skin between the thumb and forefinger. Three Square Market (32M) is expecting at least 50 staff members to sign up for the microchip. 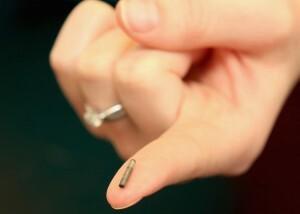 The company will partner with the Swedish-based BioHax International for the microchip. 32M will hold an inaugural “chip party’ at their headquarters. “The international market place is wide-open and we believe that the future trajectory of total market share is going to be driven by who captures this arena first,” 32M COO Patrick McMullan said.